After the recent recession, the housing market is on the recovery as prices start to recuperate and there is an ever rising sale of properties. The British market has welcomed more and more first time buyers back onto the property ladder, this saw an expansion on house prices of 9% earlier in the year. There are multiple ways in which first time buyers are being influenced to get onto the housing ladder, many of which are affordable. Something to be aware of as a first time buyer is the possibility of problems during or after a purchase when the homeowners are living in the property so it is essential that first time buyers do their research and read the small print when buying a house/ flat. This is because a thousand issues can be held in one sentence alone especially if it is miss read leading up to the purchase, justifiably due to the delight of having possession of a property for the first time. As stated above, many complications can transpire when purchasing a property as a first time buyer and this is why it is highly essential that a strategy is drawn up and things aren’t overlooked. First time buyers should be weary of over stretching their budget as well as being reasonable upon what type of property they intend to buy. The property could seem faultless at the time of viewing due to exhilaration of owning your own home but when the process is underway, many additional costs could well arise unexpectedly, later on providing a spot of bother. It is immensely hard to reverse any transactions that have been made prior to the overall purchase of a property. It is suggested that all buyers, especially first time buyers should do plenty of research to gather some key elements before going house hunting for the first time, simply to give them a rough idea of what they are looking for and what they should expect. Back in the 80’s a scheme called the Right To Buy was introduced by which long standing local authority tenants where allowed to purchase their council home at a rock bottom rate. Some big lenders tend to avoid high rise schemes or developments with a low owner occupancy so this then makes obtaining a mortgage somewhat harder, for example David Hollingworth from Broker & London indicated that Nationwide do not accept any mortgage application on ex-local authority flats that are exceeding five storeys high. Currently in London the latest offer for first time buyers is the exceptional proposition of a range of remarkable £250,000 apartments situated in and around East London, set with a down payment of £2000 (a down payment being a sum of money paid to secure the complete purchase price of a property). First time buyers may want to obtain a newly built property in order to start fresh when purchasing their first home. Buying a new build has many advantages, they are more energy efficient than older homes making it more affordable to heat and maintain. Another bonus of being new therefore, a blank canvas is waiting to be decorated by the first timer buyer to do whatever they want with it. Most new builds come with a 10 year NHBC (National House Building Council) warranty which offers defence against any structural defects and some types of damage. Buyers deciding on whether to purchase a new build can take benefit from using phase one of the Governments Help To Buy Scheme, this enables them to take a mortgage of up to 75% the cost of the new build giving that they can deliver a 5% deposit. When brought to attention this may sound like a helpful process nevertheless there are further difficulties that could potentially arise if you proceed to buy off-plan. Furthermore people should also be mindful of building completion dates for the reason that a mortgage offer is only valid for around 6 months, the building work must be completed by this time. Should this not be the case and the timetable starts to drift overdue it could cause buyers to lose their home. Due to land prices being extremely expensive, present date developers have to make efficient use of the time, space and money they have and for that reason should come up with compatible plans in order to construct multiple living spaces that are suitable and will potentially benefit a possible buyer. Most newly built properties these days are small, completely the opposite to the size they used to be numerous years ago, these of which only cost people a small sum of money. Conversely houses to date are becoming more and more expensive due to the current state of the economy however, prices do also depend upon the area and the facilities that the property is surrounded by. 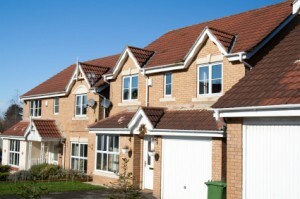 Are you a first time buyer and do you think the strategies put in place are adequate?